Pay a visit to fresh fruit and vegetable markets and slaughter houses and you’ll see how much food get wasted daily. Unknown to many, these wastes can easily be converted to nutritious meal for pigs, poultry, goats, sheep, cows, rabbits, and fish by a process called lactic acid fermentation. All you need is a lactic acid bacteria, a source of fermentable carbohydrate and time. Don’t mind the complex names, you can easily get all of them. Fruits, vegetables, fish and slaughter house wastes has very high water content and that makes them highly perishable. They can be treated in various ways but those ways can hardly compete with fermentation – they may be composted (time consuming), used in vermiculture (growing of earthworm) or biogas digesters (why use a valuable waste when you can use manure instead?) or fed directly to animals (they may contain pathogens and pesticides. There is also a problem of spoilage during storage). But by using lactic acid bacteria and a source of fermentable carbohydrate, they can be converted to high quality animal feed or high-nitrogen manure (in the case of fish and slaughter house wastes). 1. 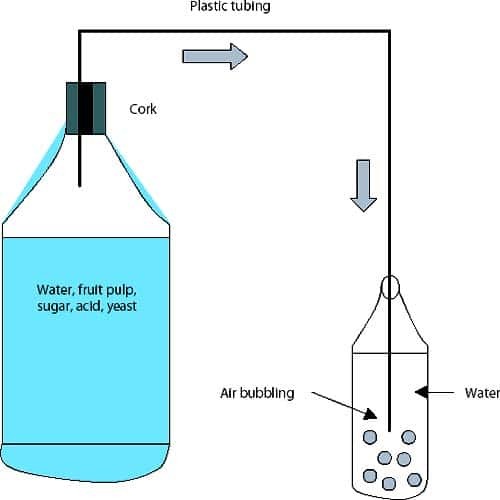 Lactic acid bacteria (LAB): This can be extracted from the air as described in this article: How to make Lactobacillus Serum. Or you can buy a probiotic that contains Lactobacillus sp. 2. Fermentable carbohydrate: This include molasses, sugar or anything that is rich in sugar. You can also use cereal meals like corn meal, cassava meal, sorghum meal etc in combination with sugar or molasses. 1. Lactic acid fermentation is a very simple technologies that have been used in Asia for thousands of years. It can preserve perishable foods for a very-very long time. 2. It increases the nutrient quality of food wastes by enhancing their digestibility. 3. Lactic acid bacteria and lactic acid have beneficial health effects on the intestinal flora of humans and animals. Animals fed with this silage would have less gastro-intestinal problems. 4. Some lactic acid bacteria can render certain insecticides harmless. Example of such insecticides include chlorpyrifos, coumaphos, diazinon, parathion and extremely toxic methyl parathion. The bacteria use them as a source of carbon and phosphorus as they feed. 5. Because no heating is involve, protein’s amino acids are not destroyed. 6. Slaughterhouse and fish waste can be fermented into liquid fertilizers rich in nitrogen. They can also serve as high protein sources for animals. When you combine lactic acid bacteria (LAB), fermentable carbohydrate and any of the mentioned wastes, the LAB will consume water soluble carbohydrates (WSC) from the fermentable carbohydrate to produce lactic acid. With time (about 1 week or more), the pH drops below 4.2 and this will thoroughly pasteurized the waste and preserve it for a very long time. Air must not be allowed during the process. Solid wastes should be shredded, mixed with the other ingredients and tightly and firmly packed so as to exclude air. Shredding it will enhance airtightness and prevents spoilage. The waste should be fermented in an airtight vessels. One way to achieve this is by attaching an air-lock mechanism on the vessel’s cover. This will let out gases that are generated during fermentation without letting in air. If you can’t do this, tightly cover the vessel and drill a tiny hole on the cover with a drill or small nail. This way, gas can easily escape. Also ensure that the vessel is filled close to the brim to minimize air space. Plastic bags or plastic drums can be used. A cheap, flexible, inner plastic bag can be housed and protected within a more rigid and permanent outer bag to reduce cost. Plastic drums may be costlier but they can be used over and over again. 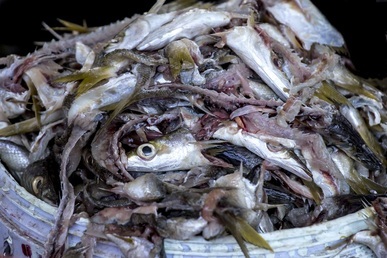 Fish silage is made from fish waste (viscera, backbones, heads and tails), LAB and fermentable carbohydrate. 1. 5% LAB, 60% fish waste, 30% ground maize and 5% molasses. E.g. 5kg pure LAB, 60kg fish waste, 30kg ground maize and 5kg molasses. Source: fao.org fish silage for feeding livestock. The end-product loses the fishy smell and will have a pleasant smell typical of fermented stuffs. Blood from slaughter houses are often thrown away as waste or used to make blood meal. To make blood meal locally, heat is required and this leads to loss of nutrient. But with fermentation, nutrient loss is very slight and digestibility is greatly enhanced. Fermenting is also cheaper and less time consuming. Procedure: Collect fresh Slaughterhouse Blood immediately after the animal is slaughtered. Allow it to clot and collect only the clotted portion. Add 5% pure lactic acid bacteria (in form of whey or lactobacilus serum) and 15% molasses to 80% blood (e.g. 5L lactic acid bacteria + 15L molasses + 80L clotted blood). 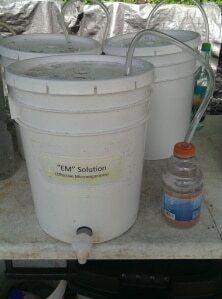 Mix well and place in the fermentation vessel. Fermentation will be complete in 4 days if temperature is maintained at 35oC. It will be longer at lower temperature. The end result is a product that is long-lasting, free of harmful level of pathogens and rich in digestible protein. The low pH has successfully pasteurize it. Shred the waste fruits and vegetables into small pieces; the smaller the better. Mix about 5L pure LAB with 20kg fermentable carbohydrate (you may use 5L of diluted LAB, the pure LAB that has been diluted by 1:20). 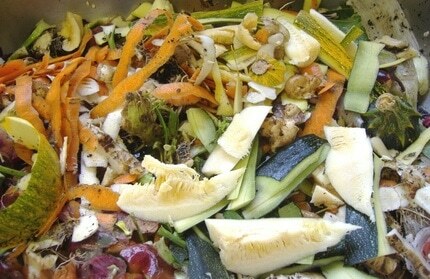 Mix in 80kg of fruit/vegetable waste and mix thoroughly. Pack tightly in an airtight vessel and allow it to ferment for about 10 days. Although, fruit and vegetable wastes contains enough fermentable carbohydrate for the job, you can still add more in form of cereal meals to improve feed quality and to absorb leachate (i.e. the liquid that ooze out from the vegetables and fruits). If leachate is a problem, use a layer of dry rice bran, pap byproduct, cassava pulp waste etc at the bottom of the container to absorb the leachate. It is dangerous to ferment partially decomposed waste. Ferment wastes as soon as possible. If not, store them in ice baths until you’re ready. As we have seen so far, fermentation is a reliable way to safely preserve highly perishable waste. With this knowledge you can start making good use of wastes around you. Have We Helped You? Please support this website. Maintaining a site like this cost money. Help us to keep this site alive. We accept airtime and bank transfer. Click here to find out more. Thanks. Regarding the fermentation of kitchen waste (fruits/vegetables) is the 15L of LAB that’s added to 20kg to fermentable carbs already diluted or is it 15L of pure LAB serum? I’m also a bit confused; isn’t food waste itself full of fermentable carbohydrates so the recipe would basically be calling for 15L for every 80kg of food waste. Thanks for pointing out. I have corrected it to 5L pure LAB culture. Diluted lab can also be used without problem. In fact, adding lab is not a must. I also answered the second part of your question.